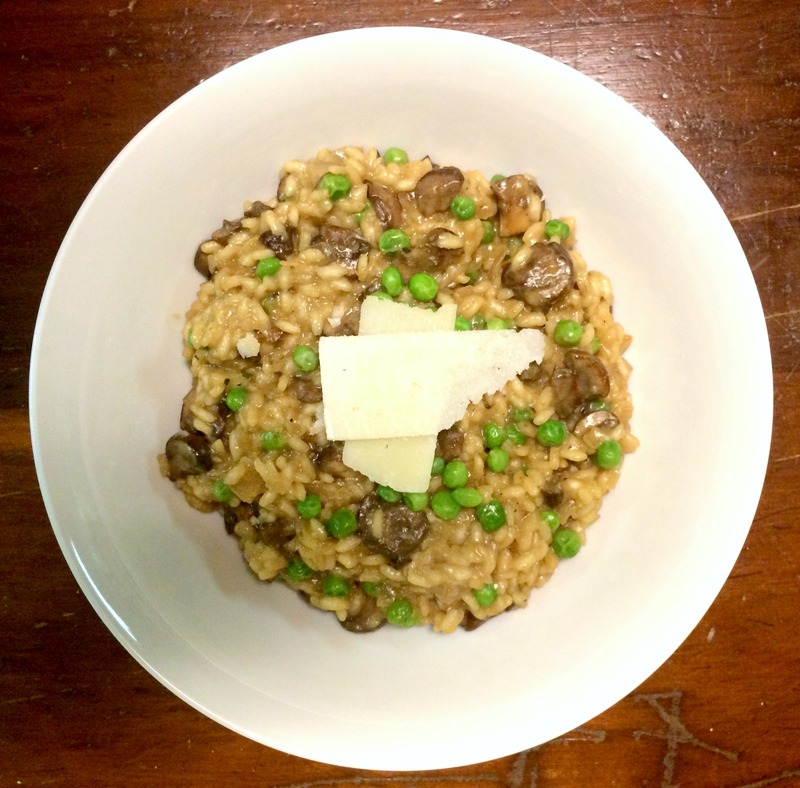 Risotto is Italian fare made with starchy rice that soaks up broth to a creamy consistency. This dish can be risky, as it requires pampering and constant attention. 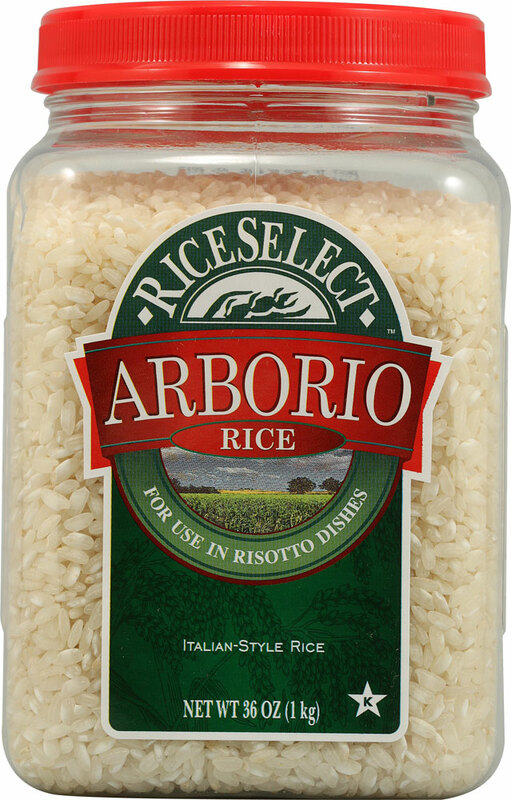 Arborio rice, used in this recipe, is a type of risotto rice that releases starch while absorbing liquid. With common ingredients and patience, this rich and creamy meal will excite your taste buds and impress the judges (if you’re competing in a food challenge for some reason). 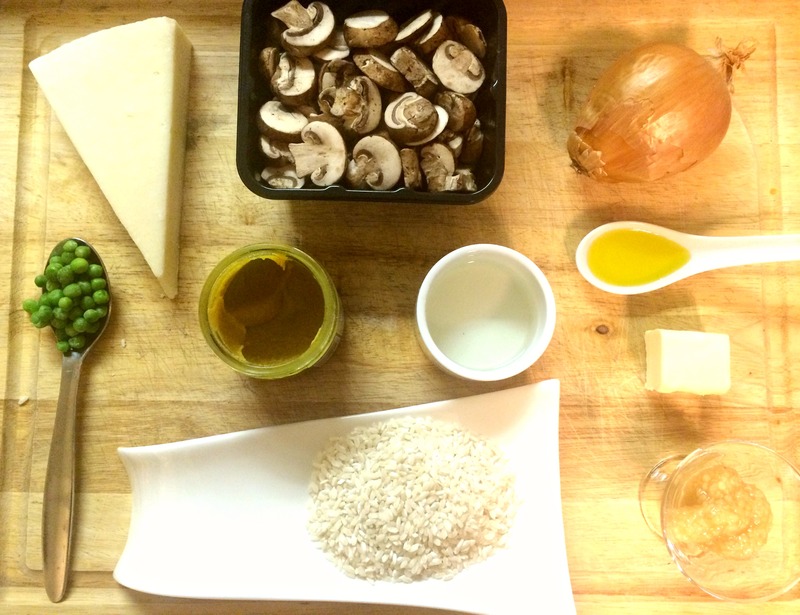 Oh risotto, you do not scare me! 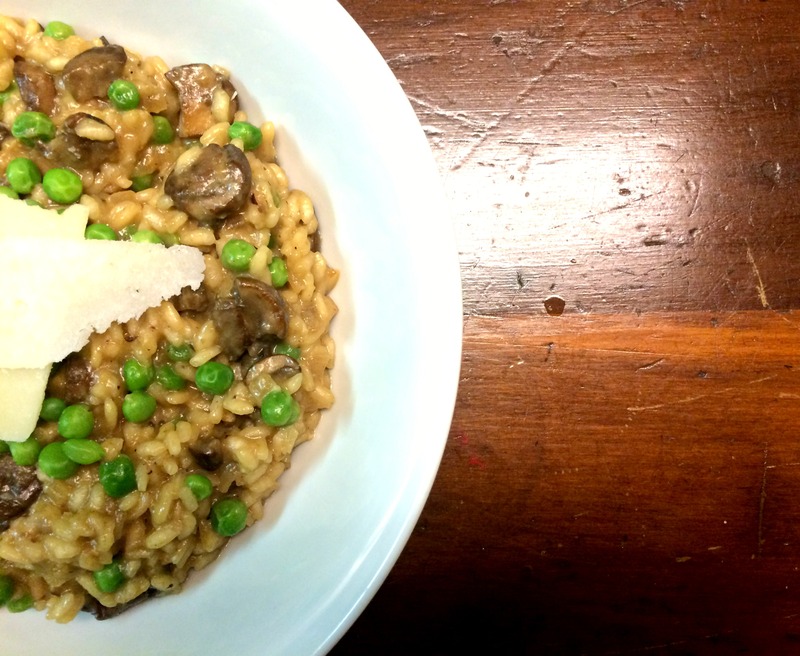 When eating out, if risotto is on the menu, whether as a side or entree, I am ordering it. There is something soothing and satisfying about it. 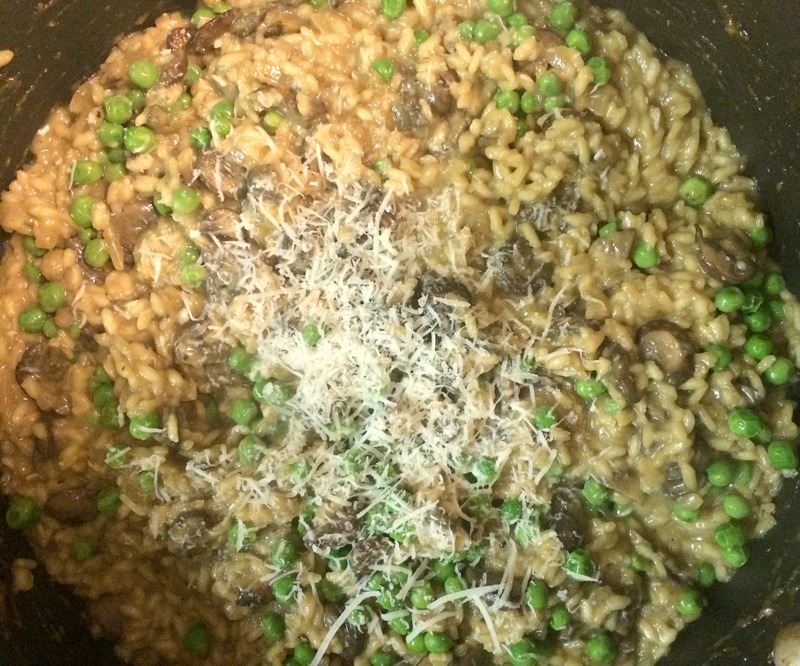 Risotto’s velvety creaminess alludes you to think it is infused with cheese or cream, but it’s not! So for the first time, I decided to tackle this beast and prove that it is not difficult to master. Bring it on. Saute the onions in the oil and butter on medium heat, like me! Add the Arborio rice to the pan and toast for a few minutes. Add the wine and cook until the liquids are absorbed. 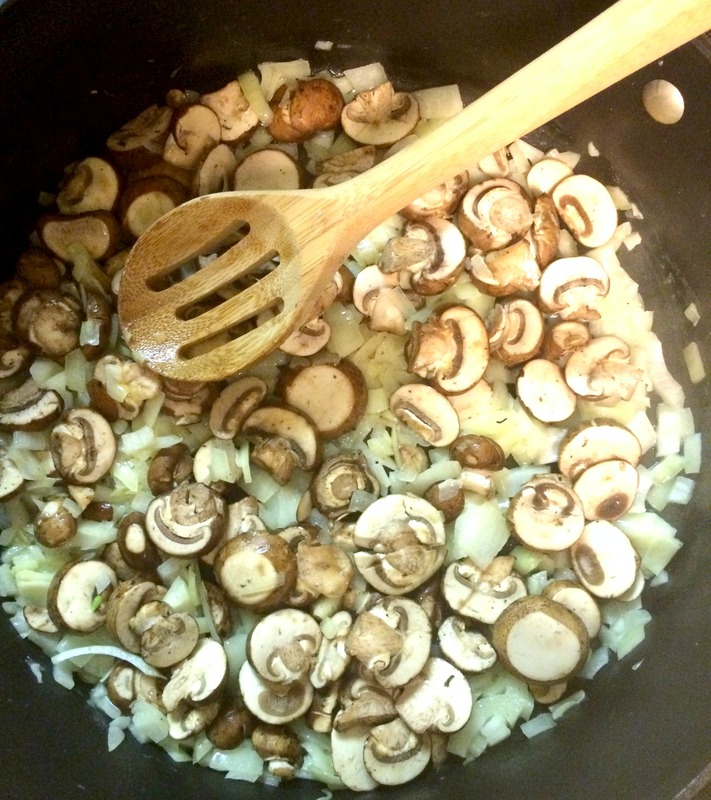 Add 1 cup of warm broth to the mixture and constantly stir until it is absorbed (about 5-8 minutes). Continue adding 1 cup at a time, until all 4 cups are completely absorbed into the rice. This will take about 30 minutes. 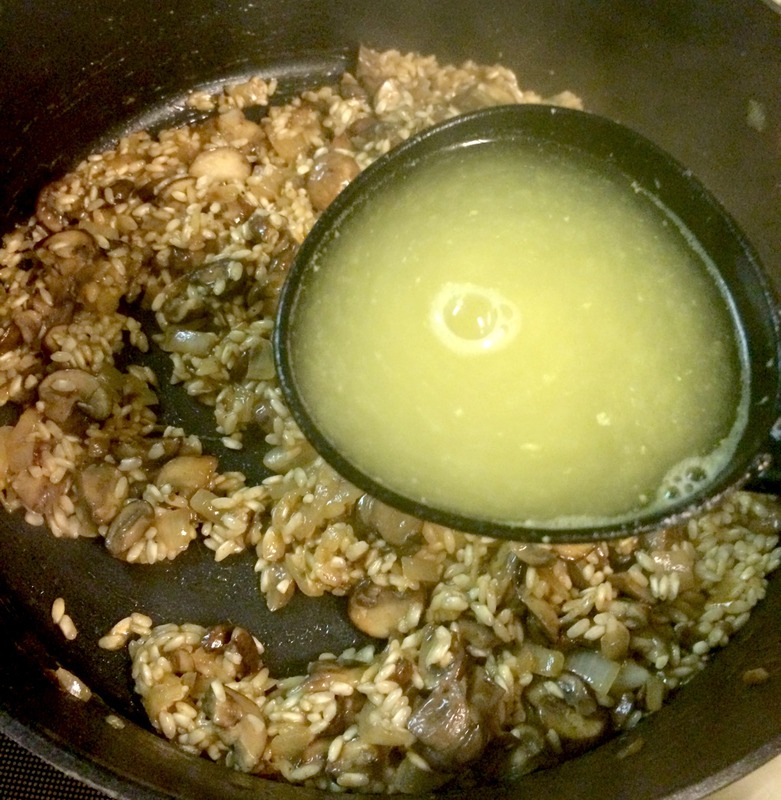 Do not stop stirring, the rice will release starch and will slowly become creamy. This is where I wish I had an automatic stirrer, an invention I would like to create. Set the fixed interval of time that you want the machine to stir and it does all the work! When all the broth is absorbed and the grains of rice are still in tact (not mushy), stir in the peas and freshly grated Parmesan cheese. Top this decadently naughty meal with even more Parmesan cheese and dig in! 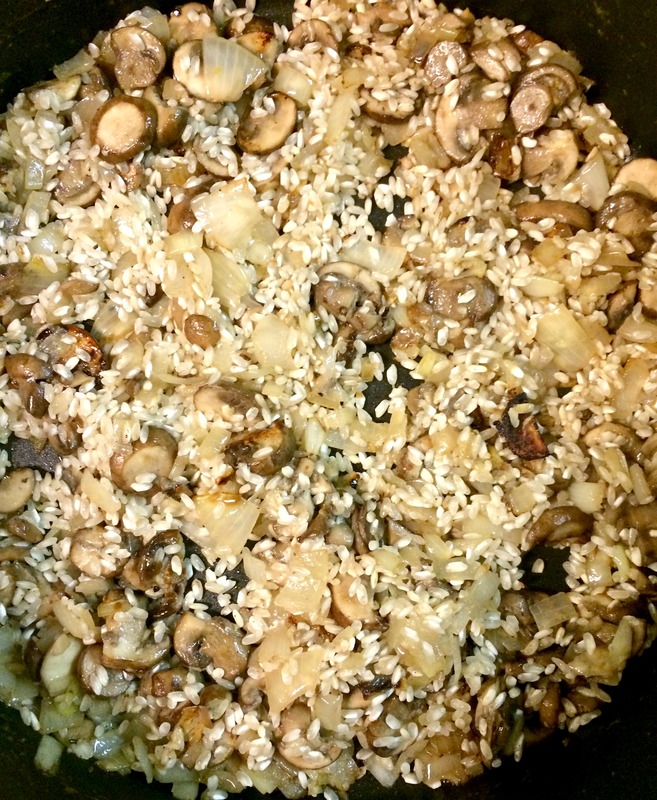 The rice grains are tender on the inside, yet contain an al dente bite on the outside. The sweet peas, earthy mushrooms and salty cheese brighten the velvety smooth texture. 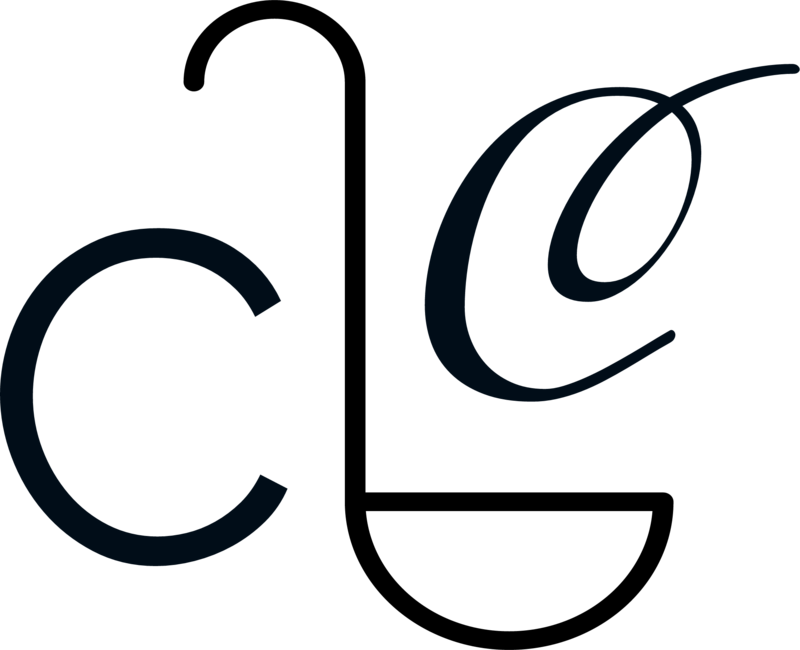 I conquered this feat and you can too!